Nearly a decade ago, The Freshwater Trust met Pat and Hedy Voigt, owners of Austin Ranch in John Day. The Voigt family has been working more than 600 acres of land on the ranch in Eastern Oregon for three generations. The artery of their business, the Middle Fork John Day River, winds its way through their landscape. This is what the Voigts and The Freshwater Trust had in common. The Middle Fork John Day River supports some of the last exclusively wild runs of Spring Chinook and steelhead in the Columbia River Basin. Quality instream habitat and a lack of development, dams, and hatchery fish create an ideal wild-fish sanctuary  at least for most of the year. From June through August, low streamflows combined with warm and dry weather increase water temperatures – a cause of significant kills in the 80s and 90s. In 2006, the Voigts agreed to permanently shorten their irrigation season by 40% and leave water instream in late summer when fish need it most. 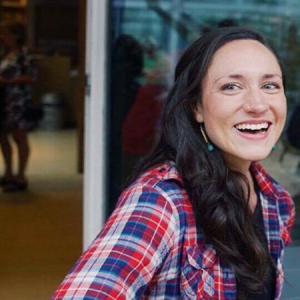 With funding from the Columbia Basin Water Transactions Program, The Freshwater Trust compensates the Voigts for curtailing irrigation after July 20 every year. 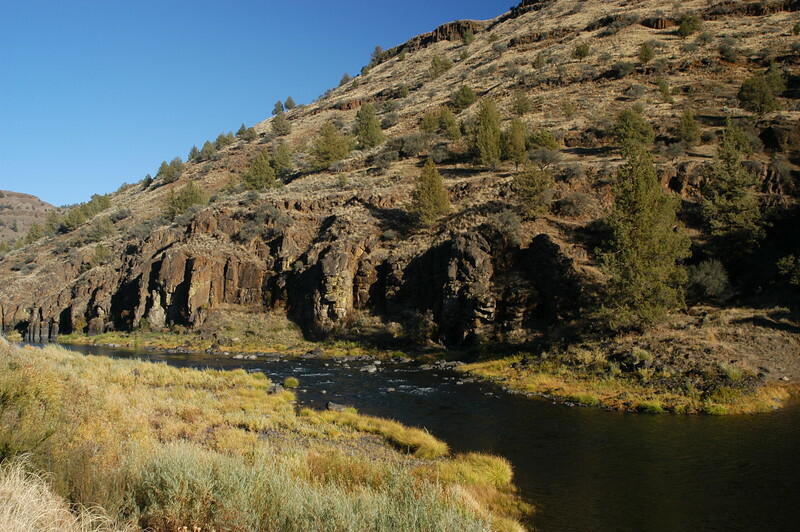 The Freshwater Trust deployed water temperature sensors and streamflow gages on Vinegar Creek, a tributary of the Upper Middle Fork John Day, to ensure the deal is having the intended results. 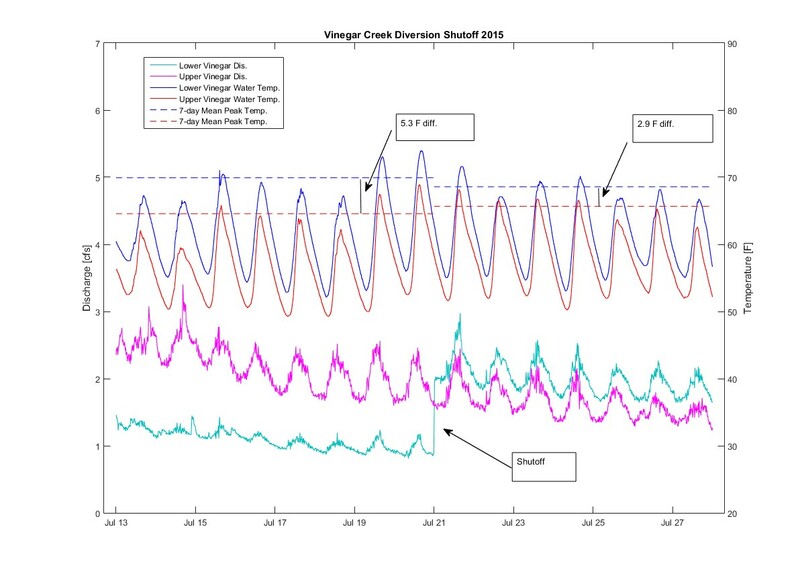 During the exceptionally warm and dry summer of 2015, after the Voigts curtailed irrigation on July 20, flows in Lower Vinegar Creek increased by 1.1 cubic feet per second -130% of total flow at the time. The additional flow increased habitat and resulted in a 2.9˚F near-term reduction in average daily peak temperatures. The partnership has been beneficial both for fish and the ranchers. 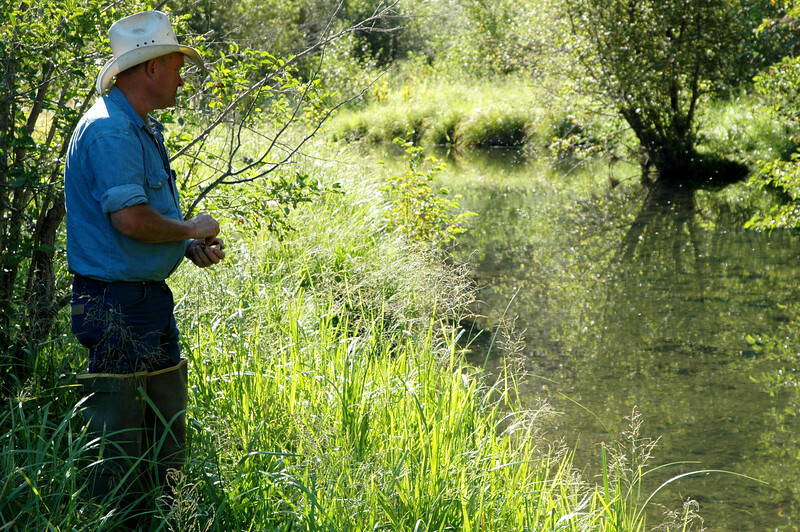 Fish receive cool water when it is most crucial and the rancher is compensated for lost agricultural production during a period of the growing season when forage production begins to wane.